A Capitol 4th: Washington, DC. Washington D.C. is a spectacular place. It is home to President Obama, Congress, and is the capital of the United States of America. I visited over the holiday weekend and stayed in the neighboring city of Old Town, Alexandria, VA with a wonderful friend from college. Old Town is a quaint little place, and one of the cutest I have ever seen. 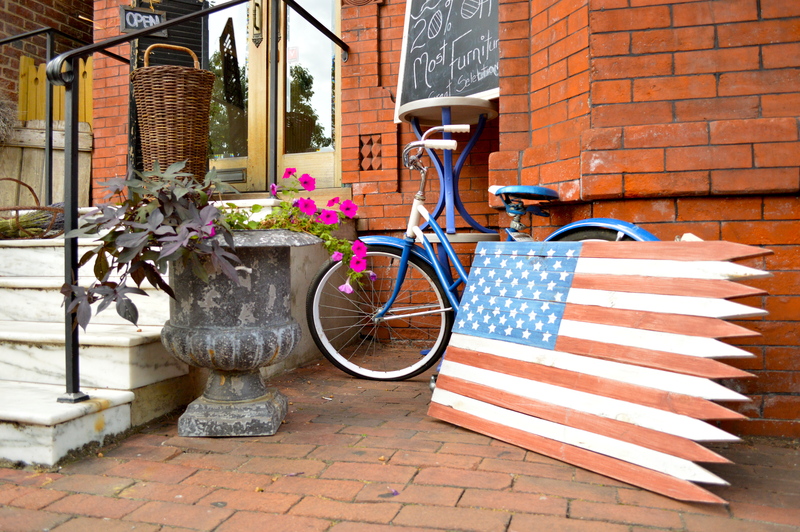 It is lined with brick sidewalks, gorgeous brownstones, and wonderful shops, and bakeries. I enjoyed walking up and down the walkways, and sightseeing around the historic buildings, and churches. In DC, we stopped by the White House, the Washington Memorial, the National Mall, the Abraham Lincoln Memorial, the Capitol Building, the National Archives, the US Navy Memorial, the Vietnam War Memorial, China Town, the American History Smithsonian Museum, and the Natural History Smithsonian Museum. We also spent some time in Georgetown, which was absolutely amazing. It felt as if I stepped into a time machine and traveled back a few decades. Although the stores are new and modern, the architecture is old and historic. Georgetown was also lined with brick buildings, walkways, and brownstones.